When Anders Celsius created his temperature scale, what was the boiling point of water. Be careful with you answer. Get it right and you get to keep the card. Get it wrong and you could face the dreaded klaxon and lose a card. 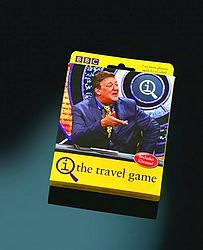 Hundreds of other obscure and interesting facts can be found in this hilarious card game based on the QI television programme!